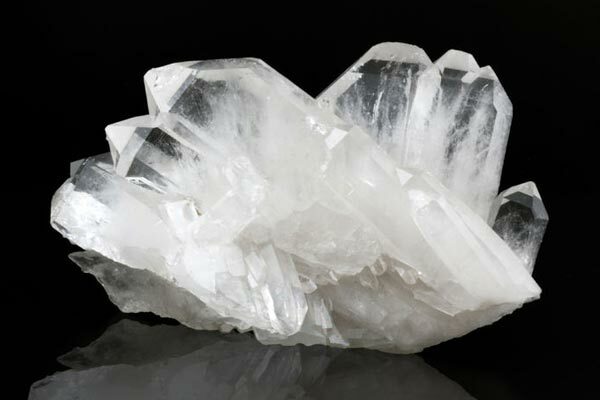 Home » Whispering Wolf » Stones » What Is Faden Quartz? Correctly pronounced as 'fahden,' its name comes from a German word that translates as 'thread'. Faden Quartz, much like a Herkimer diamond can assist in attuning yourself to another person. It can aid in making that connection and keeping it connected on all planes and dimensions. An important note though, this needs to be a mutually agreed act ion, not one-sided (as in wishing for this connection with another). If you have been experimenting with astral travel, this type of crystal is a valuable aid in strengthening your 'cord' and protecting you on your flight. It is also one being used for protection by those who travel by air, especially as a career. Many of you may already have a Faden Quartz crystal and just not have known it. On viewing, they appear to be like white fibers flowing through the crystal structure. They are usually located near the center of the crystal, and the most prized varieties seem to end at the tip of the crystal. Their appearance is a natural ocurance that has come from a fluid or gas filled, interconnected chamber. At times you may only see one thread (most helpful for astral travel), or they may appear to be like a miniature Milky Way type of formation. I have found that ones with numerous threads seem to connect with another person more readily and at many, many levels. When used to explore parallel dimensions they seem to offer an easier doorway to them and provide accurate memories of what was discovered. This is very helpful if you are experimenting with past-life ascension since they seem to allow figuring out what could have been learned and applying that knowledge as a current life lesson, thereby progressing. In providing Chakra balancing to clients, I have found the Fadens very helpful in cleansing a persons aura and a great aid in opening all Chakras. They seem to provide a way to learn information that has been hidden by closed energy areas and provide an avenue where the person can then start to heal the blockage at its core. This type of crystal is helpful in promoting stability at the mental, physical and emotional levels. It seems to align energy meridians which provides a healthy self centering. When placed in a busy room, they have much the same effect as Rose Quartz in providing a calming or stabilizing effect. Many have used Faden Quartz in making elixers with good success for most of what I've written about. However, I would caution that if you decide to take that route, experiment with laying the crystal on yourself first for a few days. If you feel anything uncomfortable, you can simply remove the crystal. Sometimes adjustment to new energies can be a slow process. And if you have a particularly energetic crystal it might be too large a 'blast' at once. Unlike holding or laying a crystal on yourself, when you injest an elixer, you have to wait for the effects to wear off. If you have had that happen, it's something usually only done once to learn that lesson.